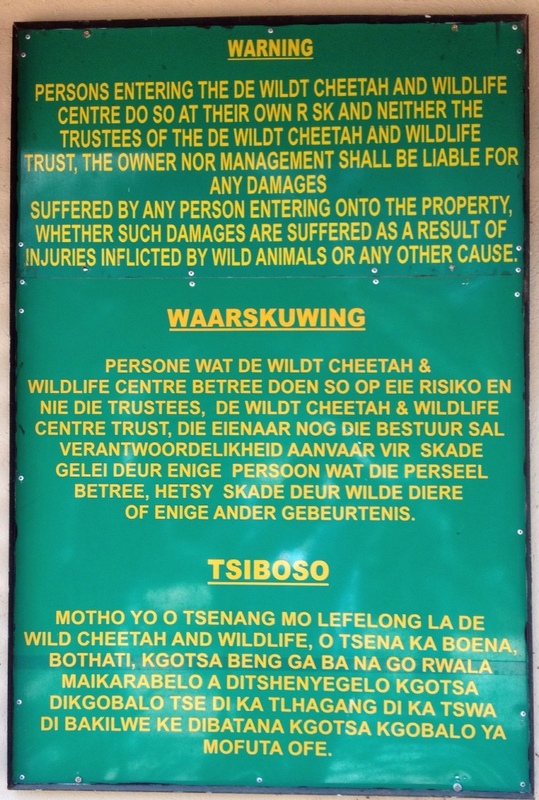 This morning, day 2 of our African adventure, we drove from Maropeng to the Ann van Dyk Cheetah Centre in De Wildt. Mildly nervous, we signed waiver forms and joined our guide. 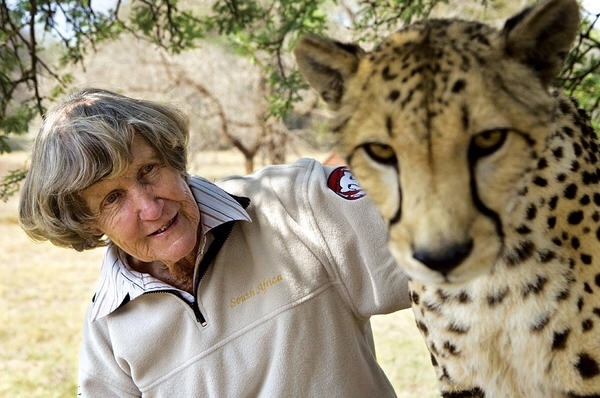 She explained that the Cheetah Centre is home to 60 Cheetahs and 50 African Wild Dogs, some from the wild and some hand raised at the Centre, as well as many other wild animals such as Cape Griffon Vultures. 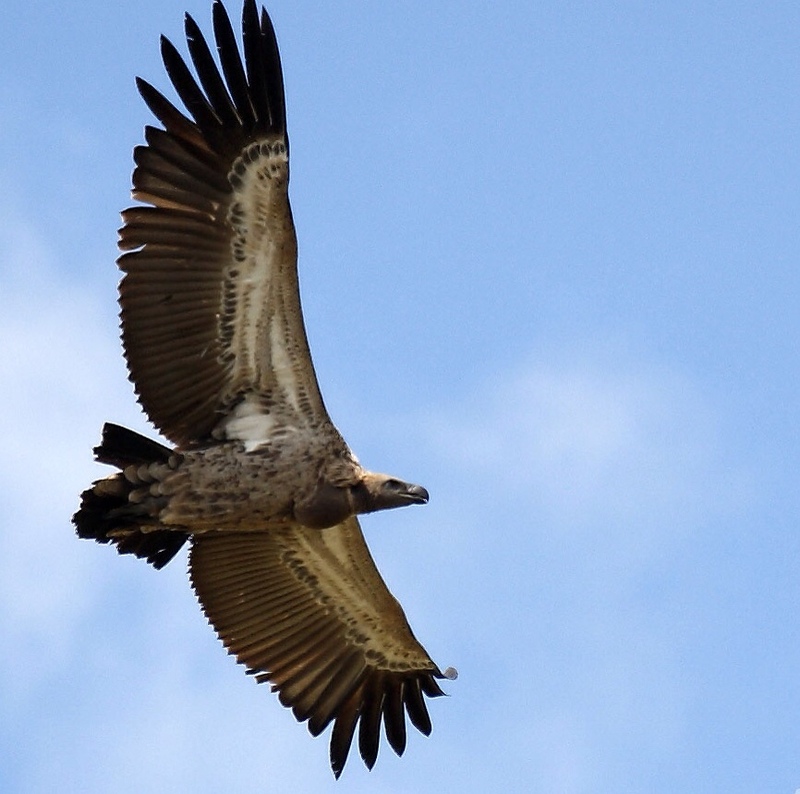 Cape Griffin Vultures are one of the most endangered animals in all of Africa. This is because they are a highly prized hunting target for Africans who believe that if they eat the eyes of the Vulture and sleep with its head then they will be able to predict the future. This is because Vultures fly so high; above the clouds and able to see far ahead. 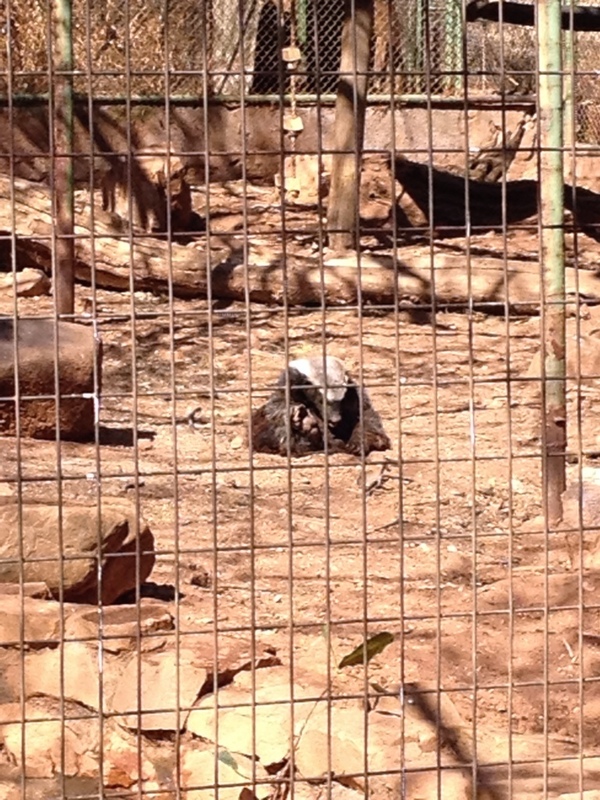 Our first stop on the tour was to see two Honey Badgers. These cute fluffy little guys apparently are the most dangerous creatures in the park! Lions are afraid of them because they are fearless, vicious fighters with long sharp claws, which they use to rip the soft under bellies of Lions and Cheetahs. Their favourite food is live snake! 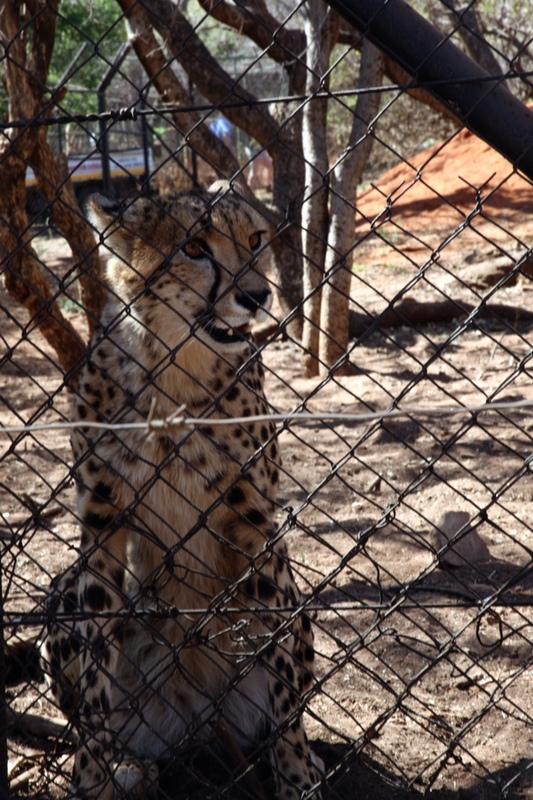 This is the one animal in the Cheetah Centre where the Keepers will not enter their enclosures. We also learned that young Cheetahs’ colouring mimics that of Honey Badgers, which keeps Lions away. What an amazing example of evolutionary adaptation! 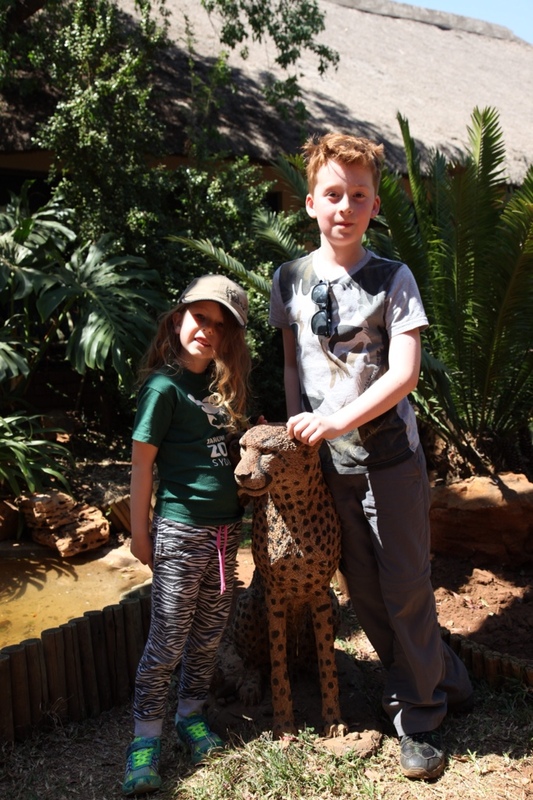 Next we climbed into a safari bus for an extremely bumpy ride up into the hills surrounding the Cheetah Centre, past many enclosures with Cheetahs, African Wild Dogs and other animals. First we saw beautiful Cheetahs that prowled up and down the fence waiting for large chunks of meat that the Ranger threw over the fence. The pattern of spots on each individual Cheetah is different from all others; like human fingerprints! Nevertheless, the general patterning of these spots is inherited from their parents, including the elusive King Cheetah pattern. This distinctive dark striped pattern once was thought to represent a separate species but is now known to be the result of a rare mutation within Cheetahs. The De Wildt Centre helped to solve this mystery when it bred two litters of Cheetah cubs, each with one King Cheetah cub. 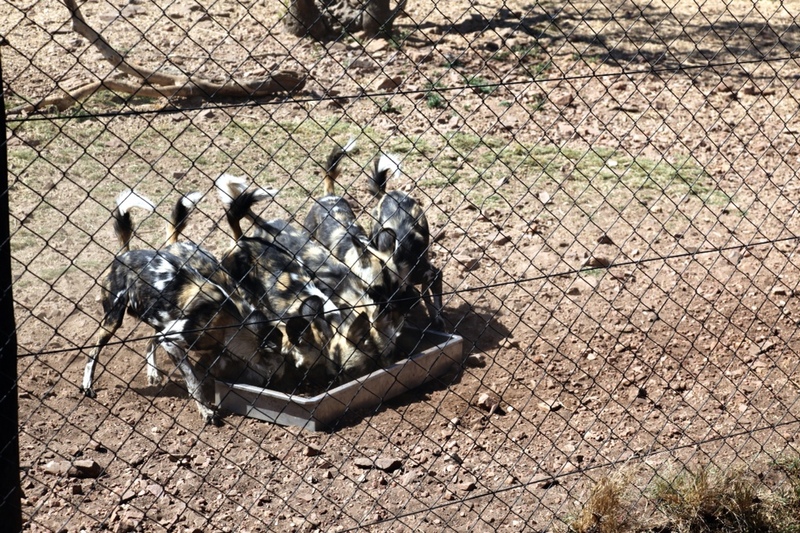 Next we saw many groups of African Wild Dogs, who live in packs. They are under threat in the wild but thriving at the Cheetah Centre. Cubs bred at the Cente are released back into the wild. 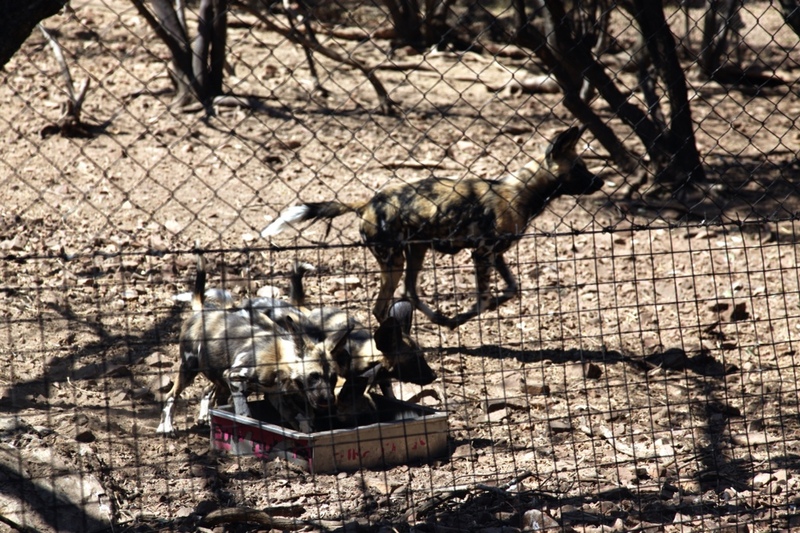 Our Ranger told us that whereas wild dogs are quite wary of humans, hand reared animals are extremely dangerous to the Keepers. This is because in the wild, dog packs are organised hierarchically. African Wild Dogs fight their way to the top by biting other dogs. So if they think you are in their pack, as they view the Keepers who rear them, they will bite you to assert dominance! We saw two litters of pups with their Mum and Dad. These pups below are about 16 weeks old. They are greedy, noisy, impolite eaters! 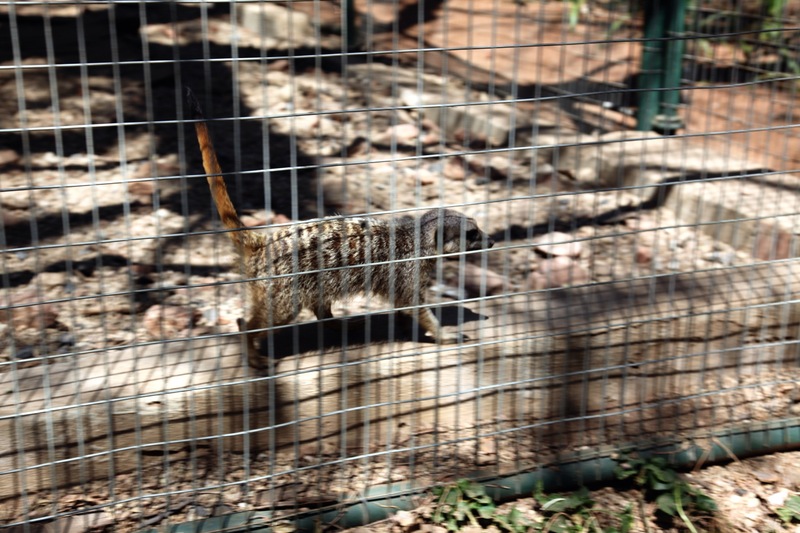 We also saw sweet, little Meerkats. Oliver and I saw a large group of Meerkats at London Zoo when we visited June 2013. 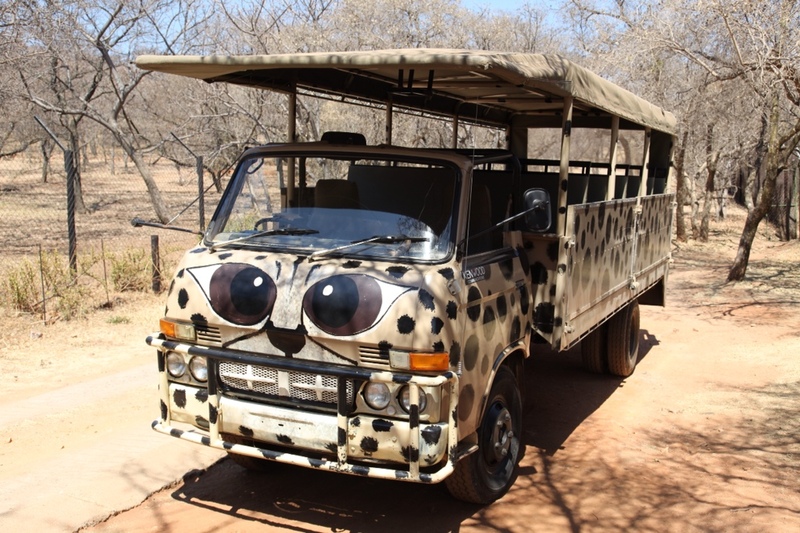 We also expect to see more when we fly to Tswalu and the Kalahari Desert. It was amazing to get up so close to these beautiful animals. But not too close! One of the Cheetahs sized us up from behind his fence and growled a very menacing growl at us. Beautiful but happily separated by a fence! Tomorrow we board The Blue Train for our journey across South Africa from Pretoria to the Cape. This entry was posted in Africa, Animals, Johannesberg, Out and about, Pretoria on September 8, 2014 by Amanda Barnier.